Cultural nest of the World. “ In Haifa we work, in Tel Aviv we have fun and in Jerusalem we pray “ as some locals told us. 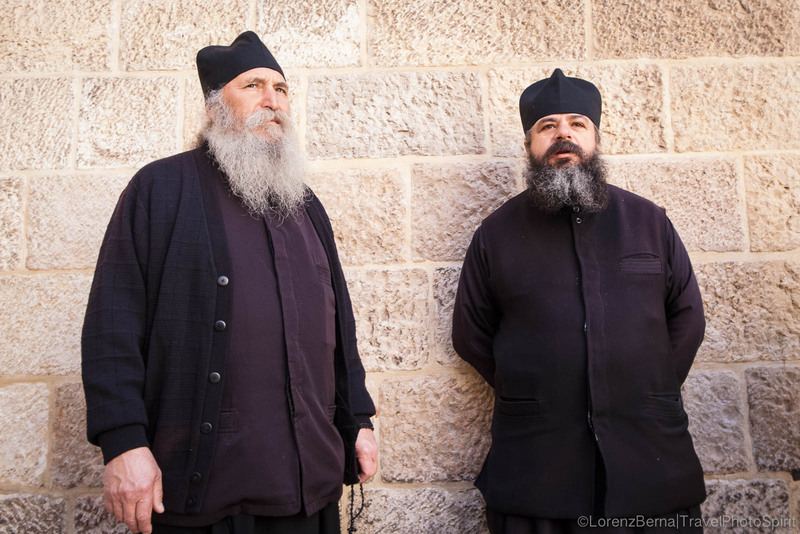 Indeed, days in the old city of Jerusalem seem to be quite paced by the different devotional rituals, practices and teachings. 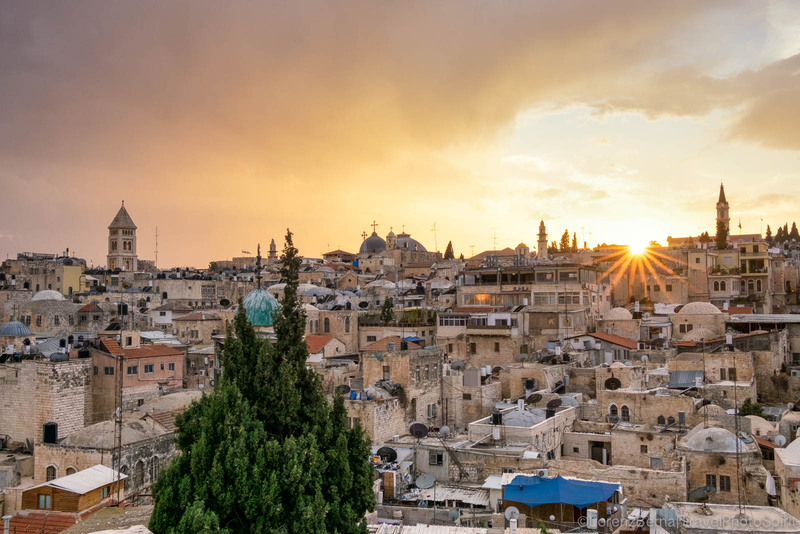 Jewish, Muslims and Christians : for all of them, the ancient city has a different meaning but a same very Holy character. A city three times Holy! 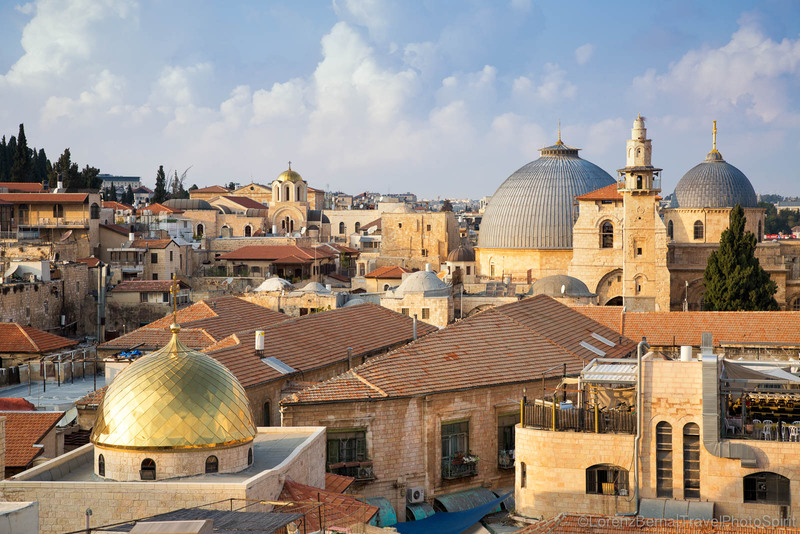 Full of history and contrasts, Jerusalem is absolutely fascinating for both religious and cultural reasons. There are few cities in the World that shake you so much you feel homesick after you left them. 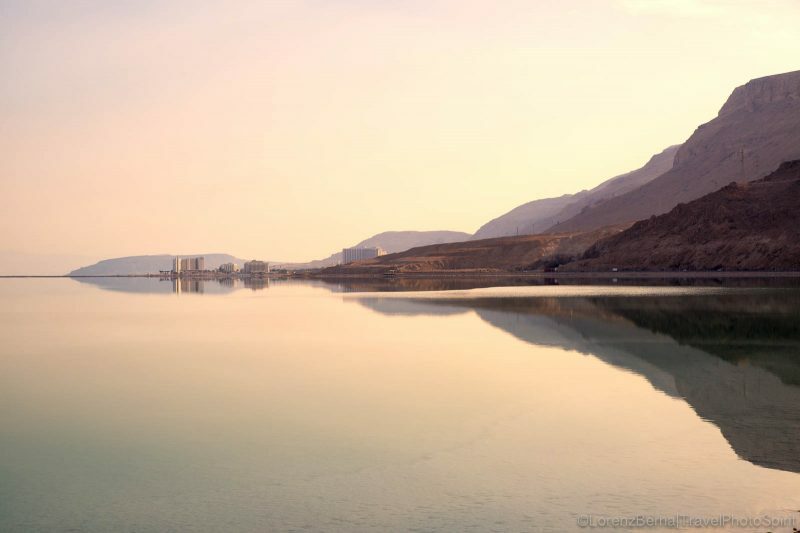 Cities that give you a feeling of familiarity, belonging and love. 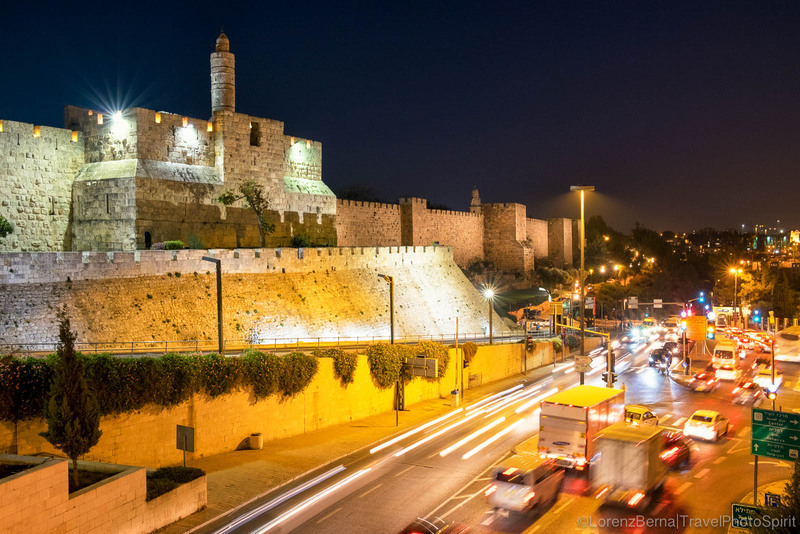 Jerusalem has definitely been one of those for us! The Old City : 4 quarters, 4 cultures. Everything actually overpasses our expectations. Especially the old city, within the citadel, entirely made of stone buildings and very well maintained. 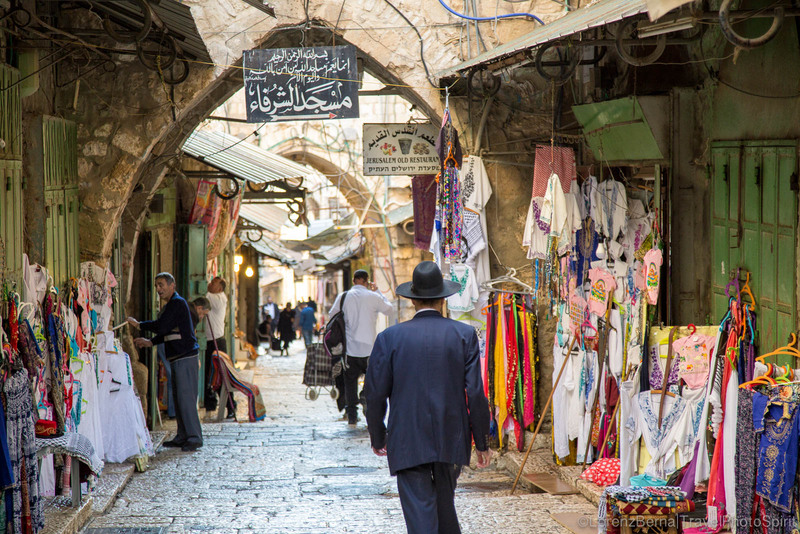 A maze of narrow streets, built on levels, that hide real gems on each corner of its 4 quarters : the Jewish, the Christian, the Muslim and the Orthodox Quarter. Each one of them having its own identity, soul and culture. 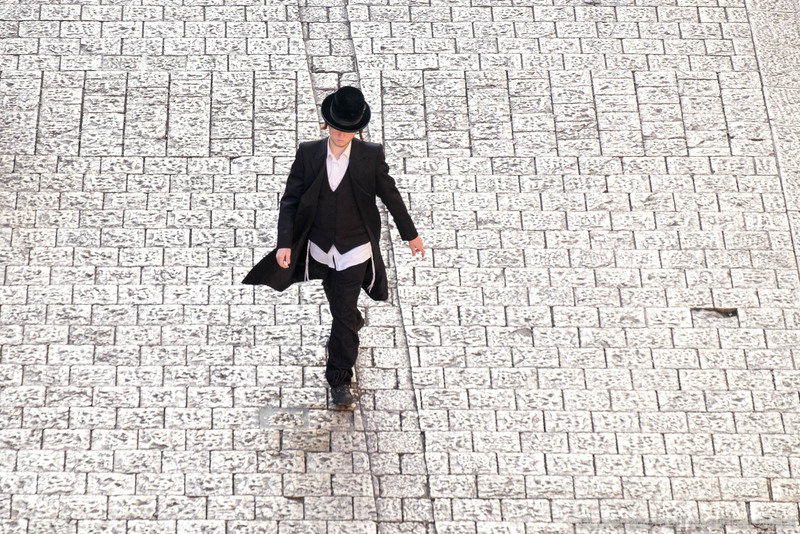 Jerusalem is a fascinating trip into a place where time seems to have stopped. 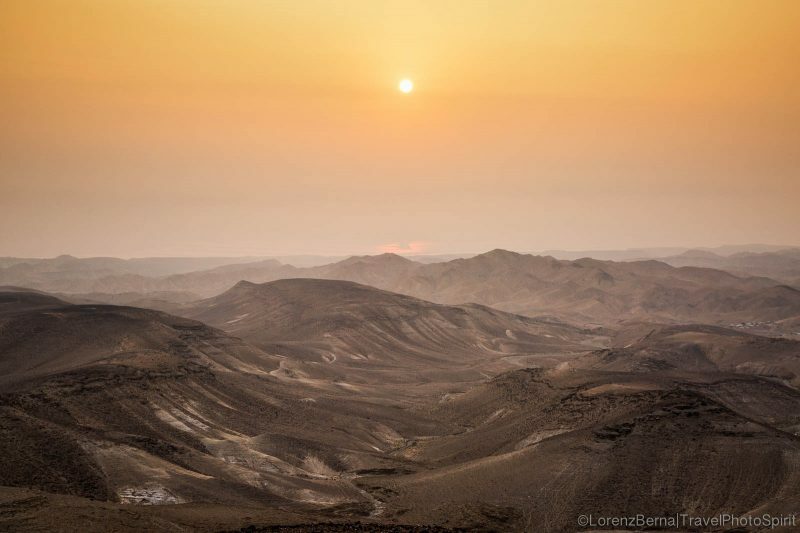 A jumps in Time and a cultural immersion into this religious nest of the World. 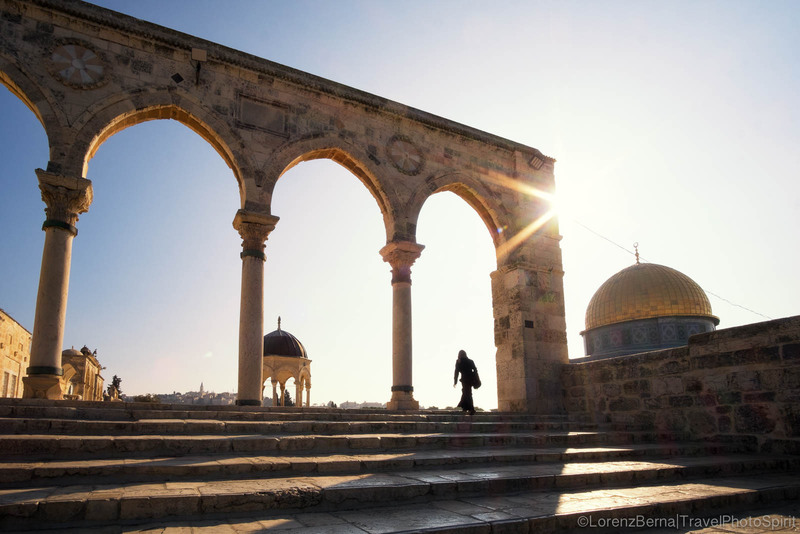 It is therefore, quite easy to understand why Travel Photography in Jerusalem is truly captivating! 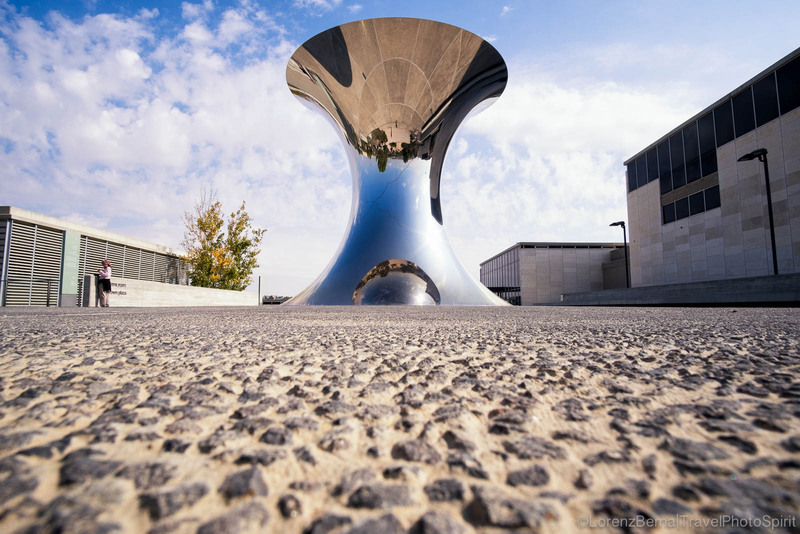 You have everything that fulfills a travel photographer : the architecture, the street life, the traditions and religions. Not to forget the incredible variety of faces that compose Israel, from the most Irish and Russian features to the African, Ethiopian ones. Let’s hope one day, a compromise will be found for the whole country to live in Peace and Harmony. 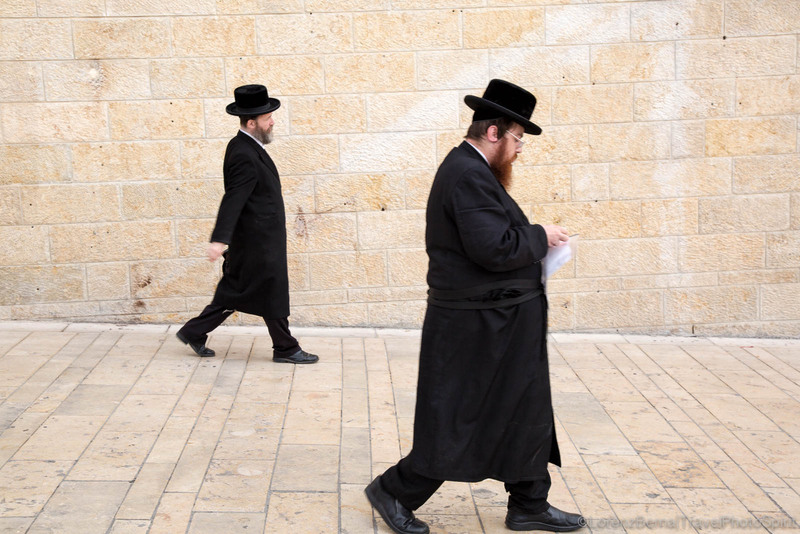 Jewish men walking towards the Western Wall in the Old Jerusalem. Sunset view of the old city, from the roof of the Austrian hospice. 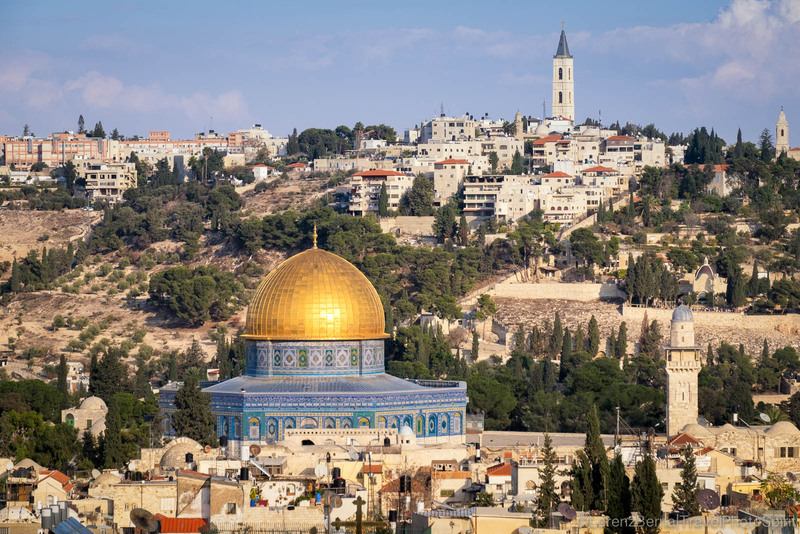 Temple Mount, hosting the Dome of the Rock, in the Old City of Jerusalem. 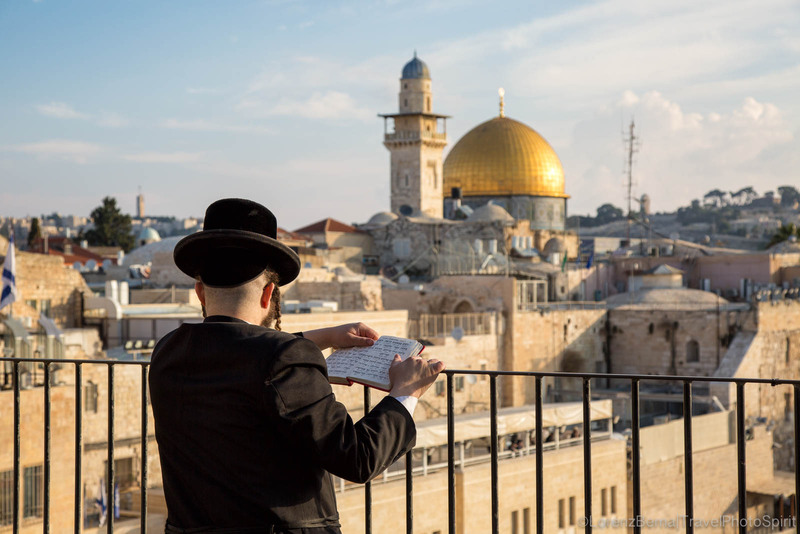 Jewish man reciting the Torah early in the morning. In the background, the Dome of the Rock. 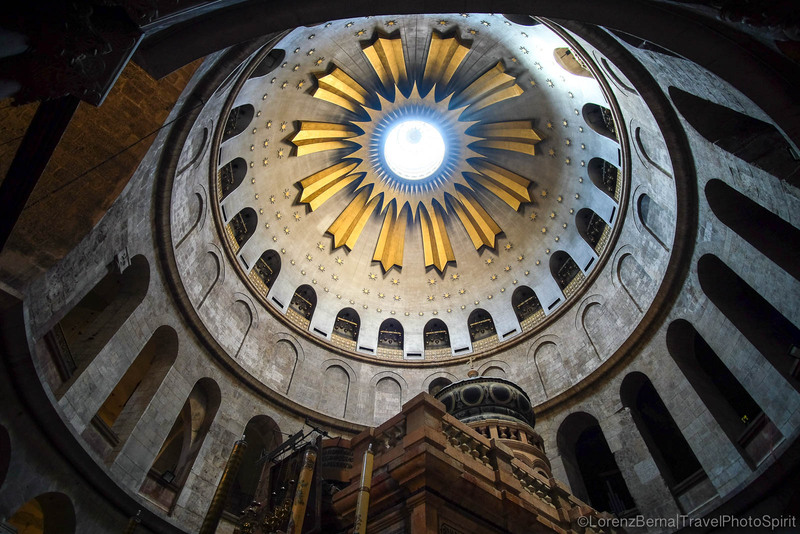 Dome of the Rotunda Anastasis, inside the Basilica of the Holy Sepulcher. 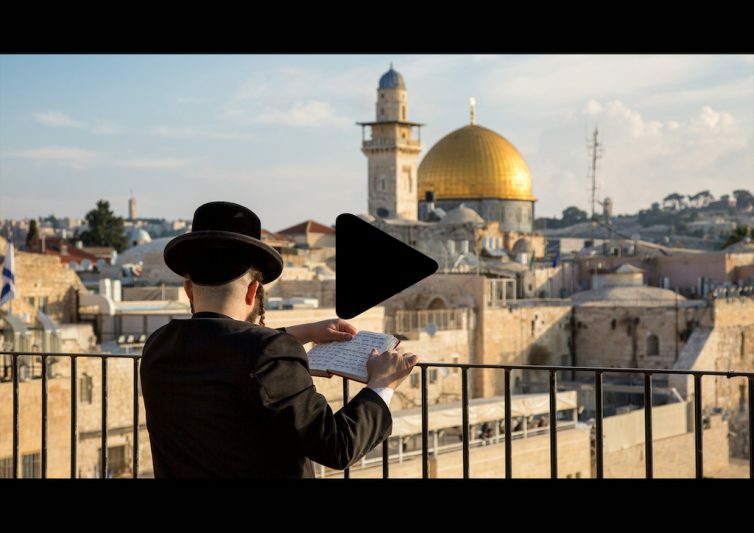 Recitation of the Torah near the Western Wall in the Jerusalem Old City. 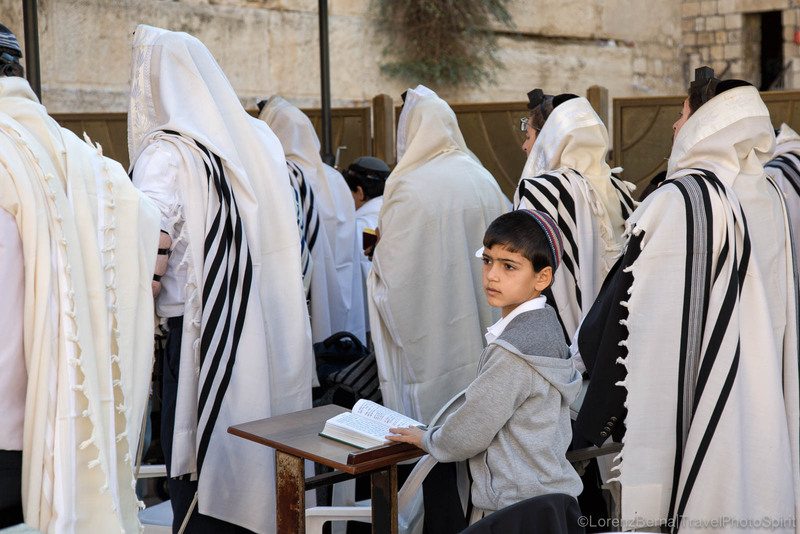 The study of the scriptures for the Jewish community, begins at a very young age. 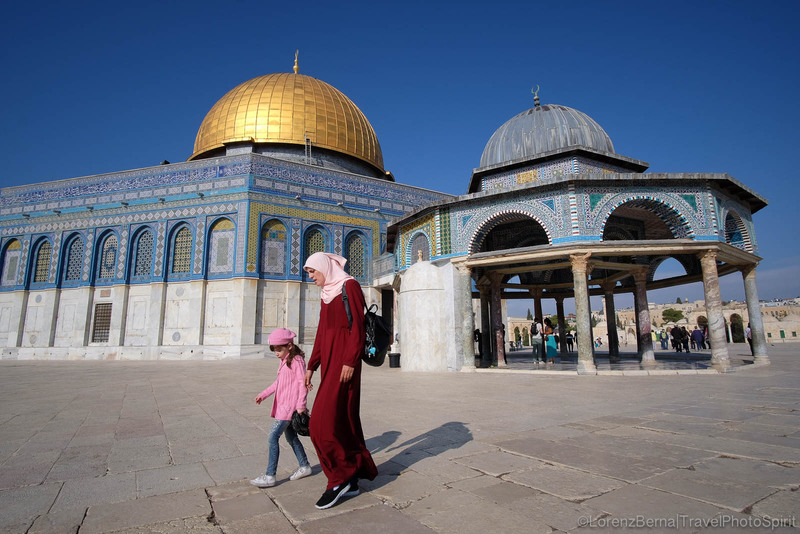 Mother and daughter went to pray on a holy Friday, at the Dome of the Rock mosque. 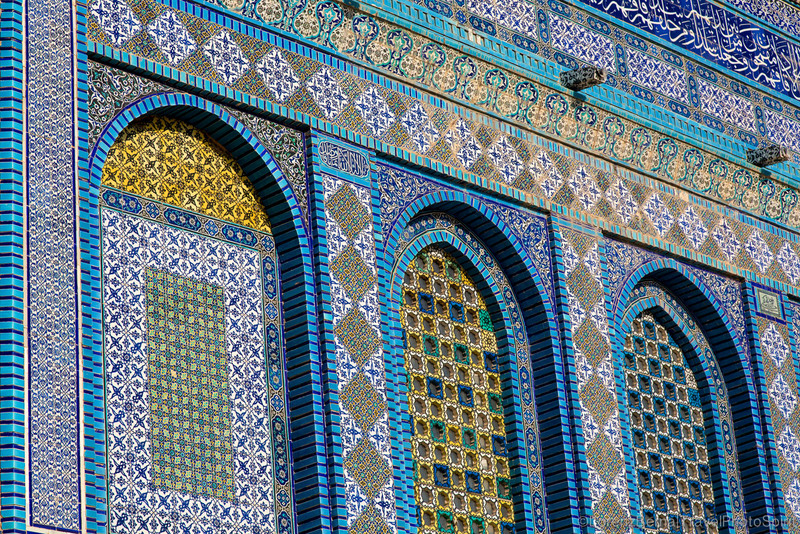 Details on the mosaic walls of the Dome of the Rock Mosque. 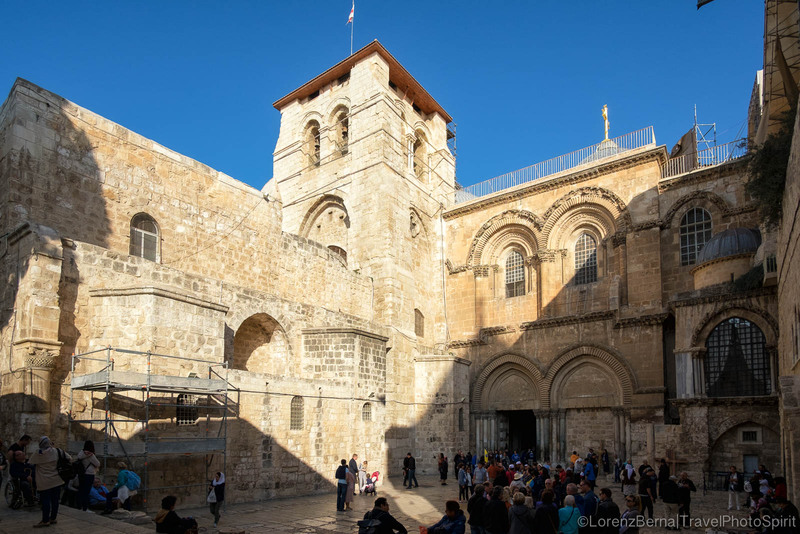 The front part of the Holy Sepulcher. 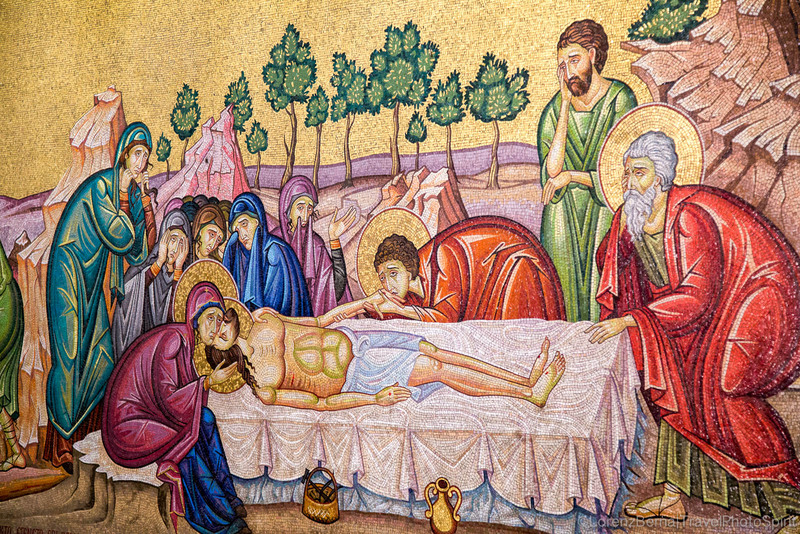 Mosaic inside the Basilica of the Holy Sepulcher depicting the Christ right after the crucifixion. 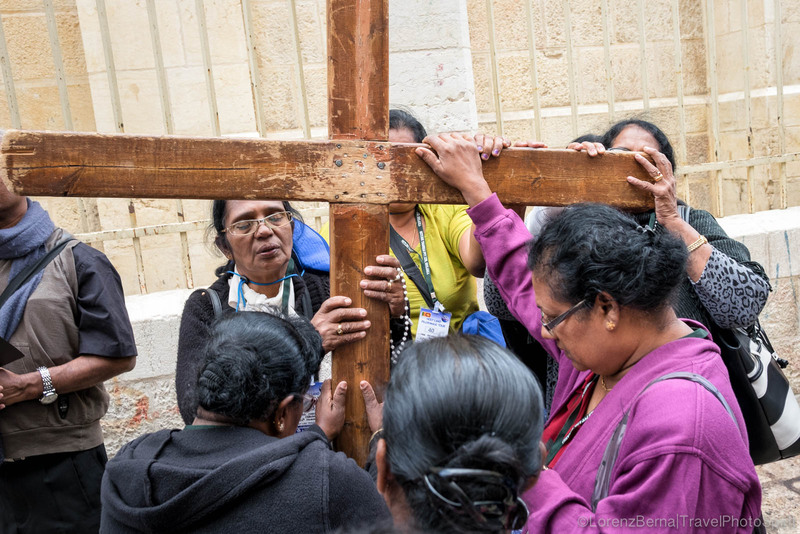 Group of Christian pilgrims walking up the Via Dolorosa, the same way Jesus walked, wearing his own cross on the shoulders up to the Golgotha, place of his crucifixion. 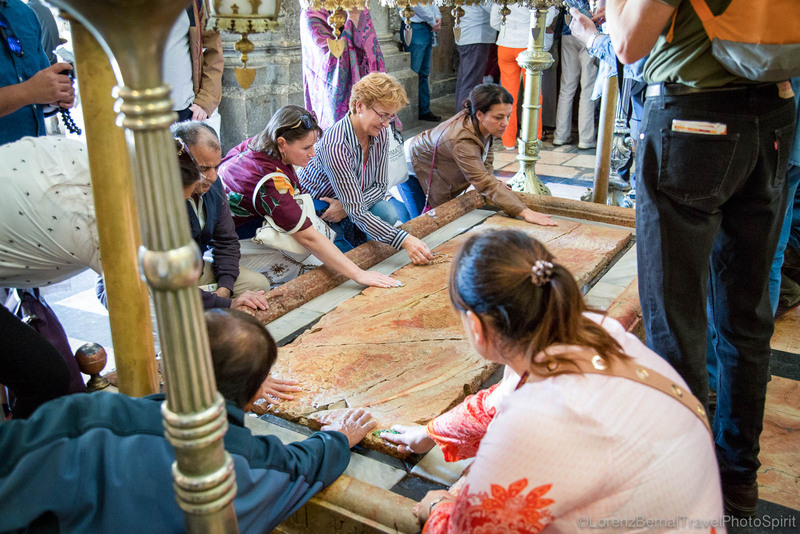 Inside the Holy Sepulcher, People honoring the gravestone where the Christ had been lied down after crucifixion. 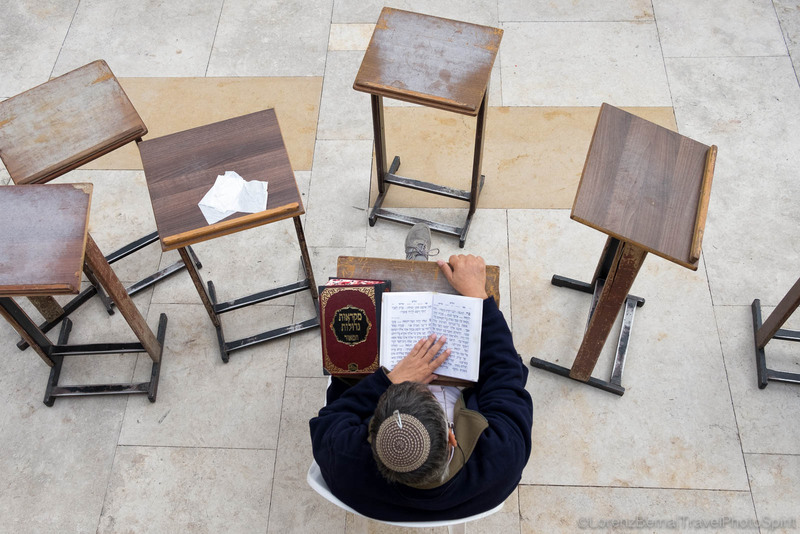 View from above of a jewish man studying the Torah. 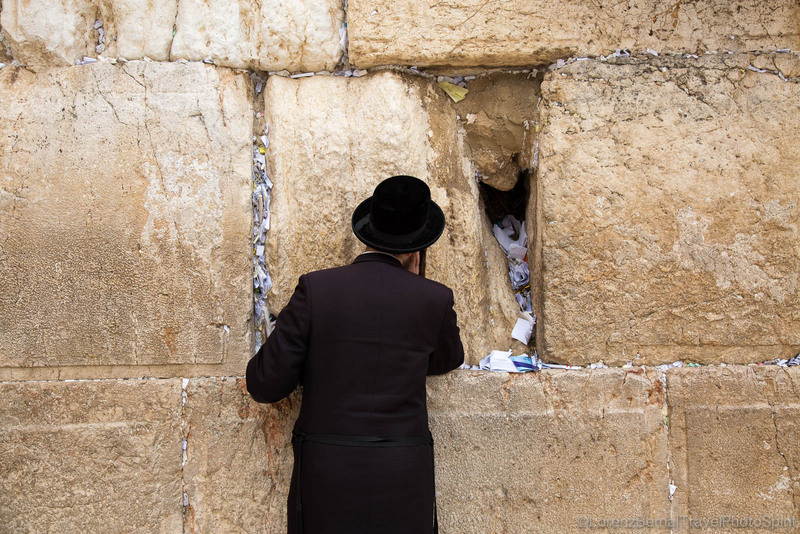 Man praying at the Wailing Wall, after having placed a paper containing his prayers to God, within the wall. 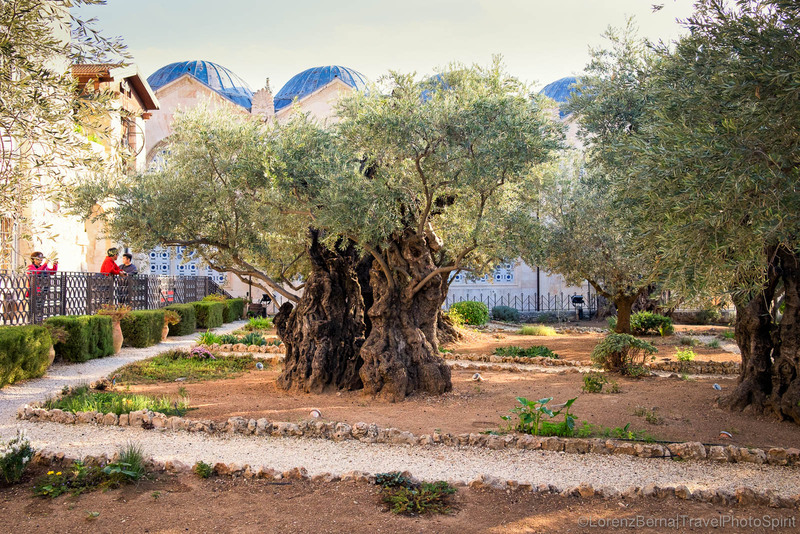 Ancient olive tree in Gethsemane, on the Mount of Olives, where Jesus spent his last night and got arrested. 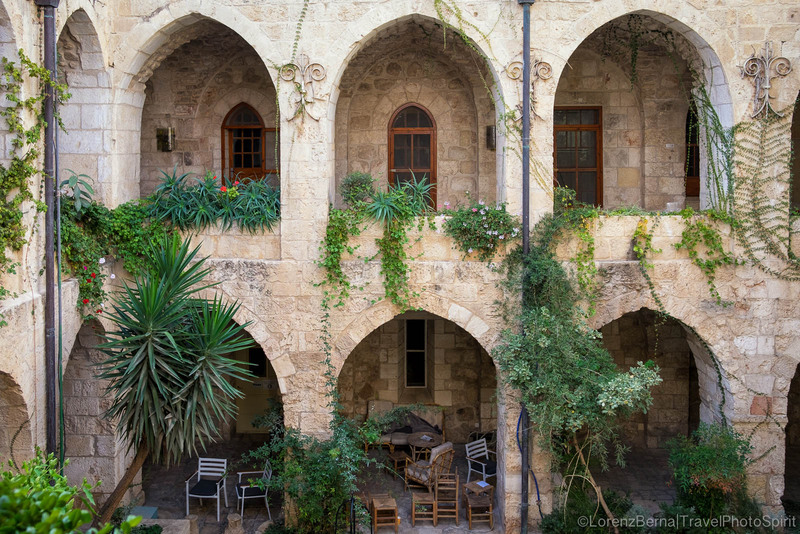 The inside patio of the Lutheran Church of the Redeemer, a protestant church located in the Old City. 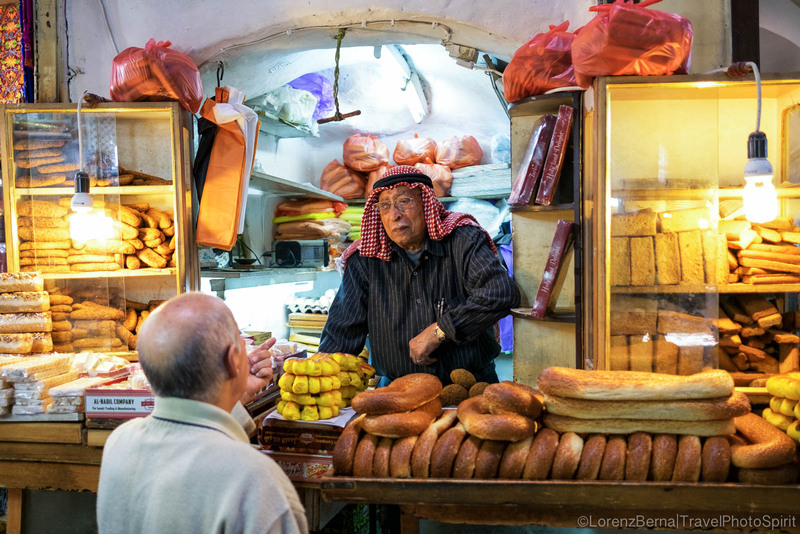 Jewish man walking in the souks of the Muslim Quarter. The interior of an antique shop. 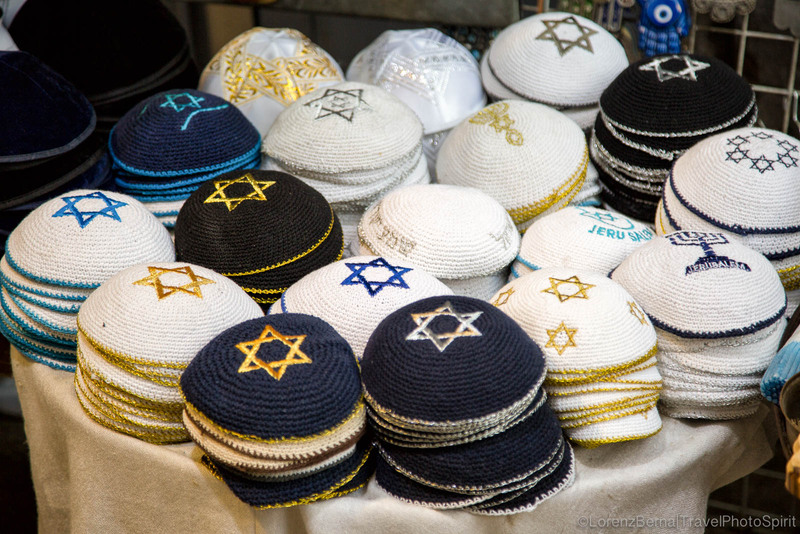 The Kippah, worn by the Jewish men when going to pray. 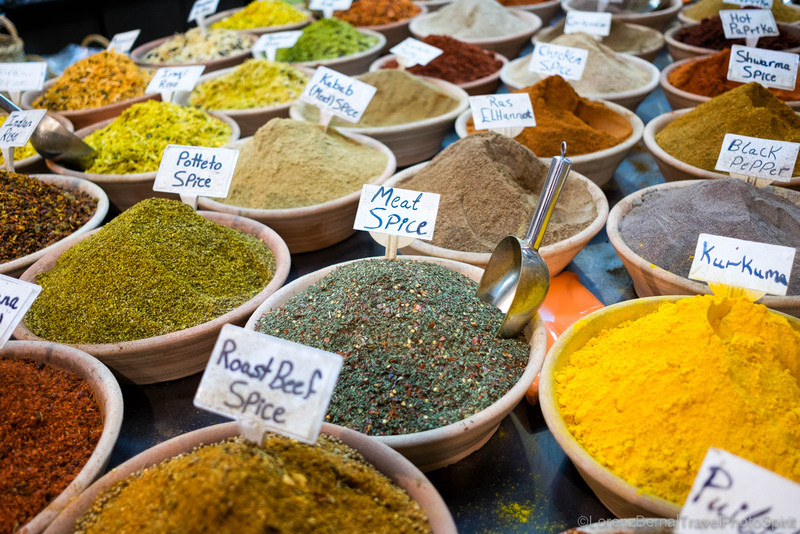 Spices in a local shop. 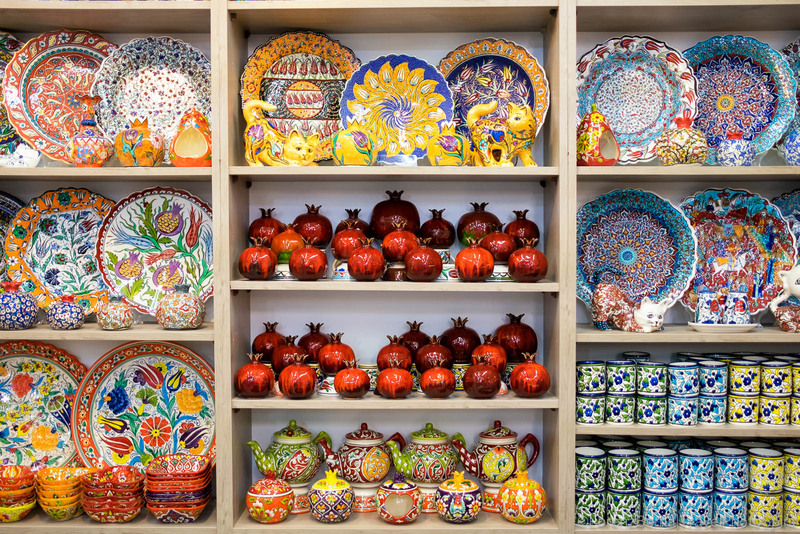 Local Handicraft in the touristic part of the old city. Two men talking at a local food stall in the Muslim Quarter. 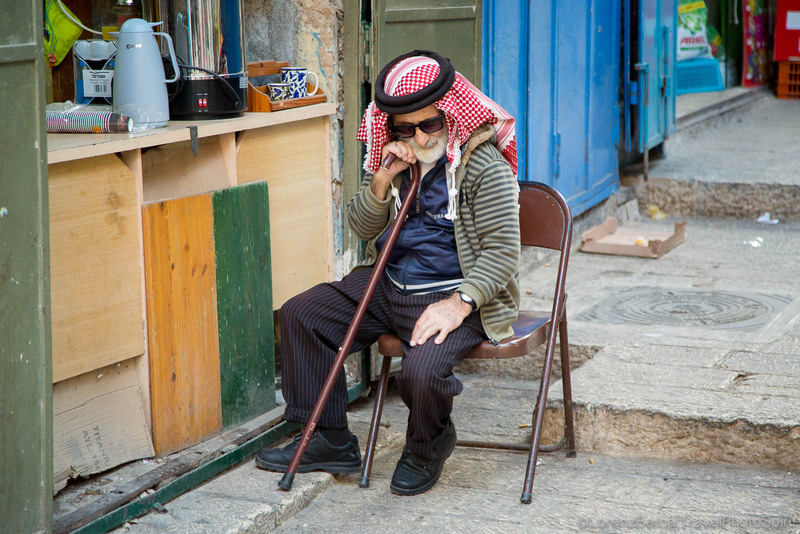 Old Palestinian man sitting in front of a shop in the Muslim quarter of the Old City. 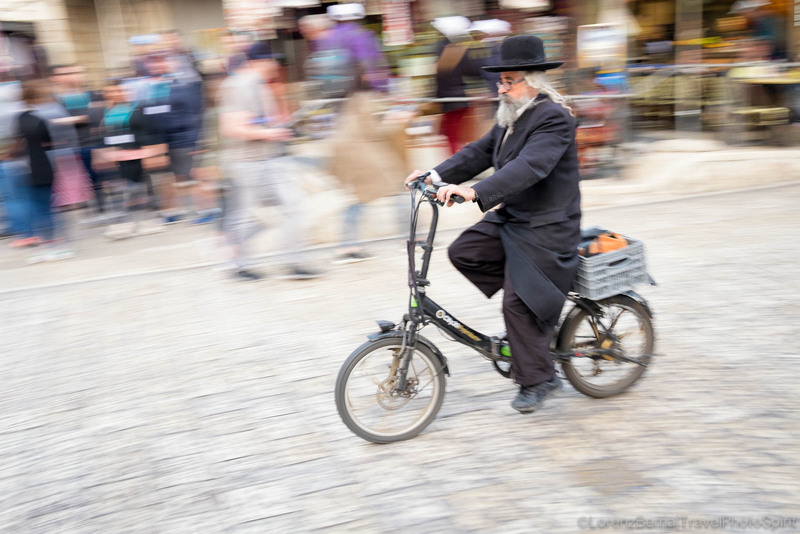 Old man on an electrical bike, in the Jewish Quarter. 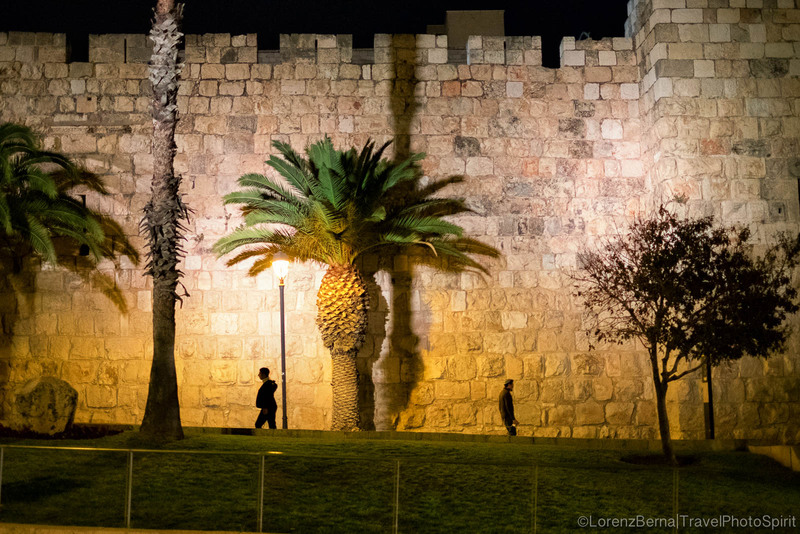 The outside walls of the Old Citadel, in the evening lights. 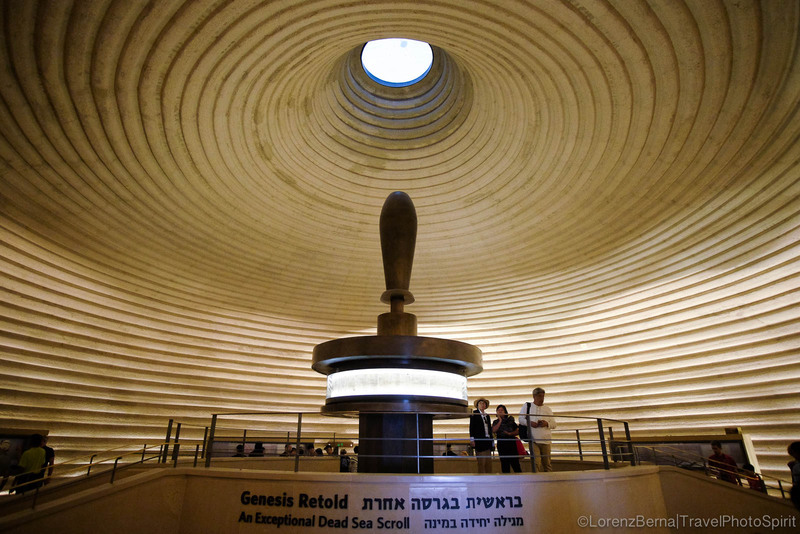 The inside of the Shrine of the Book, where are kept the Dead Sea Rolls, ancient parchments of Jewish manuscript. Sculpture at the Israel Museum. 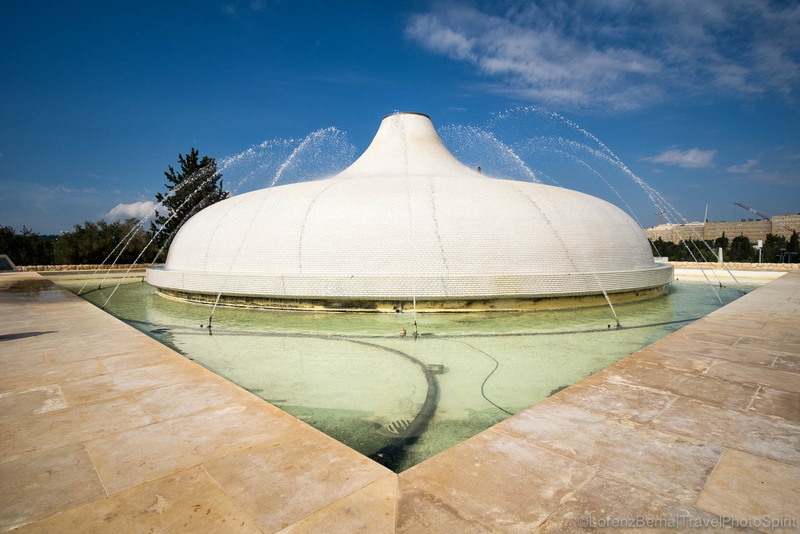 The top part of the Shrine of the Books, from outside. 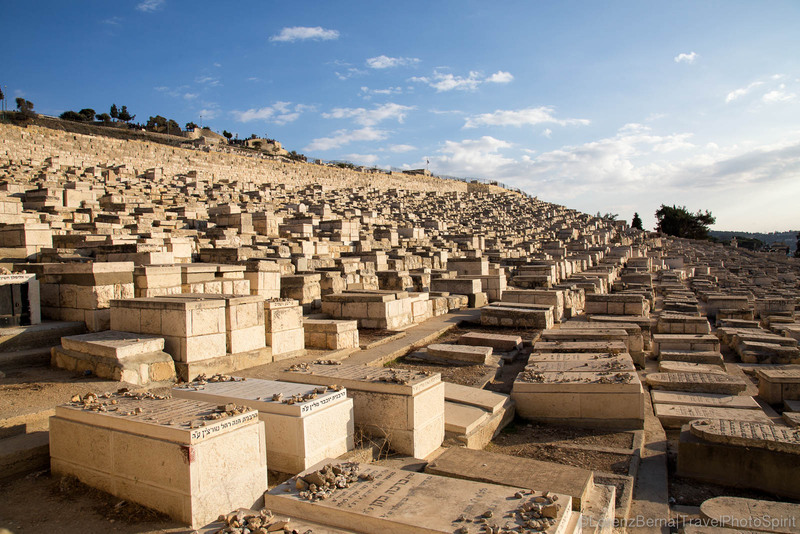 The Jewish cemetery, facing the Old City of Jerusalem. 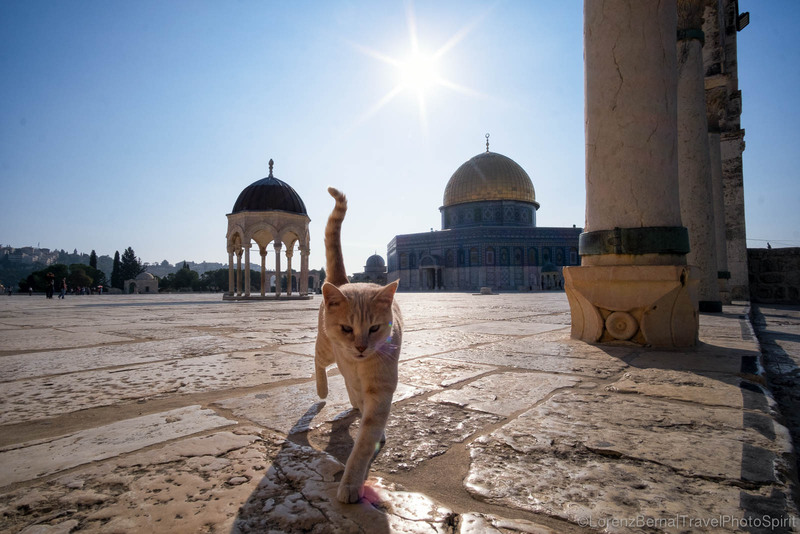 A stray cat wandering around on the Dome of the Rock grounds. 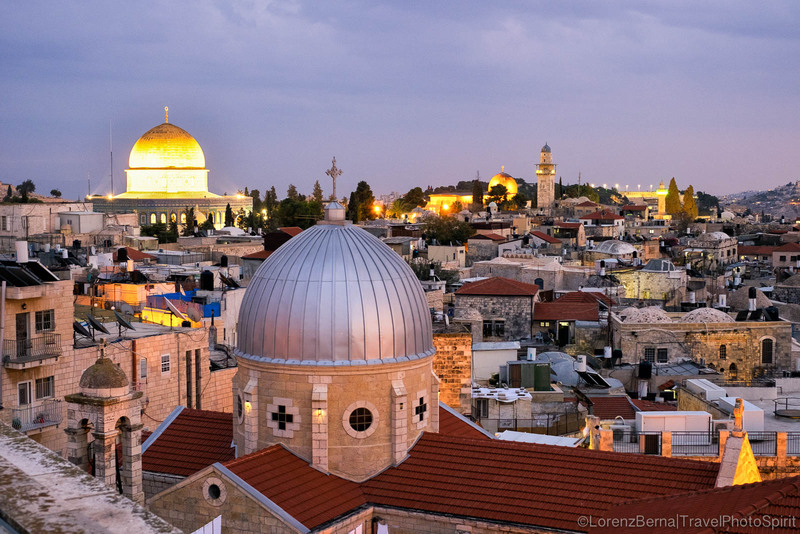 After sunset view of the old city of Jerusalem from the Austrian hospice. 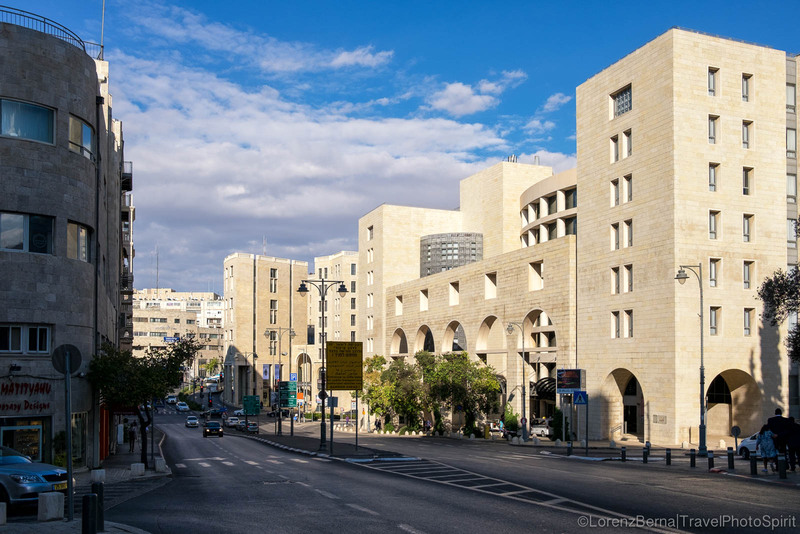 Street view of a modern part of Jerusalem city. 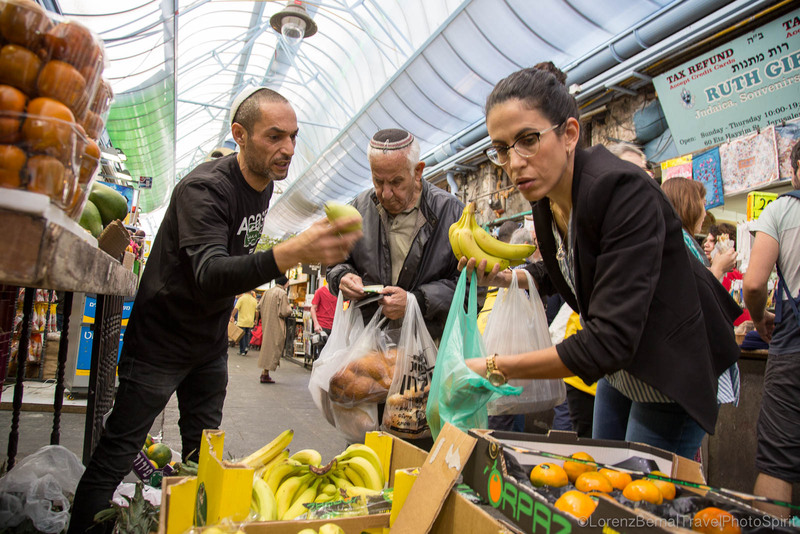 Deals in Mahane Yehuda Market, where locals come to buy fresh food. 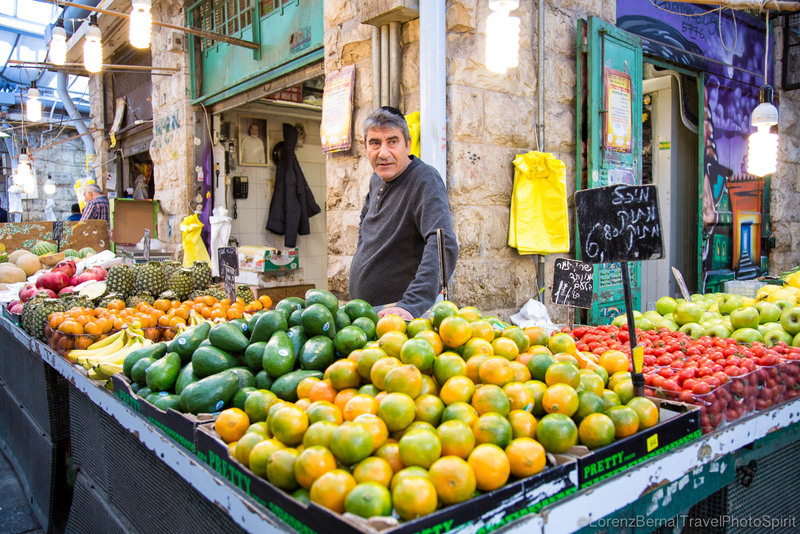 Fruit stall in Mahane Yehuda Market. 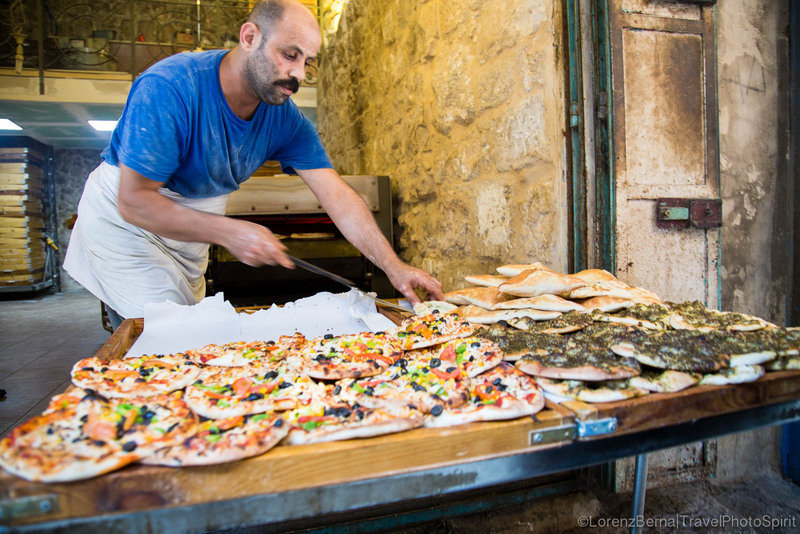 Street food stalls, freshly baked every day. 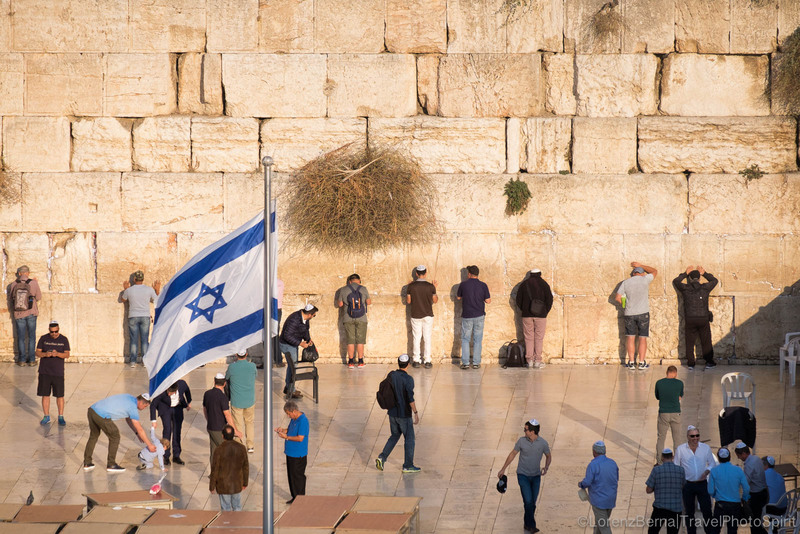 Jewish men praying along the Western Wall, best known as the "Wailing Wall". Surroundings of the Dome of the Rock. 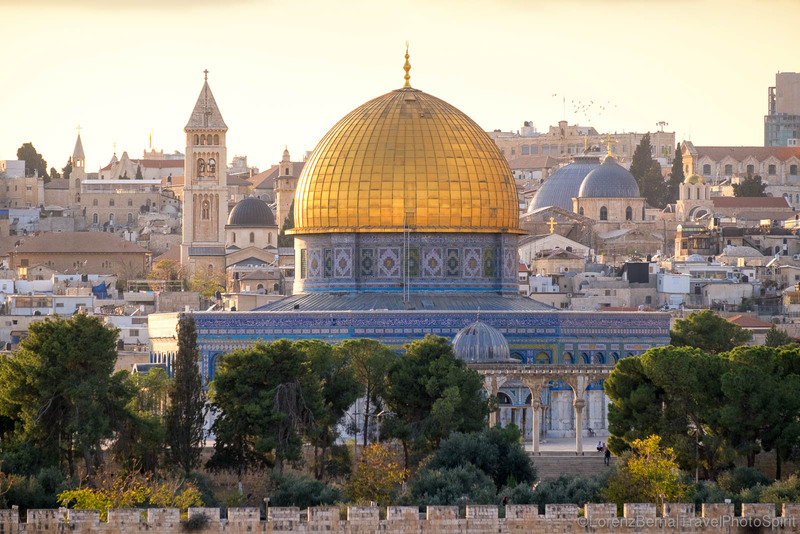 The emblematic Dome of the Rock before sunset.